Update 1/25/11; I performed a test of Google using my wife and two employees names, addresses and unique emails. 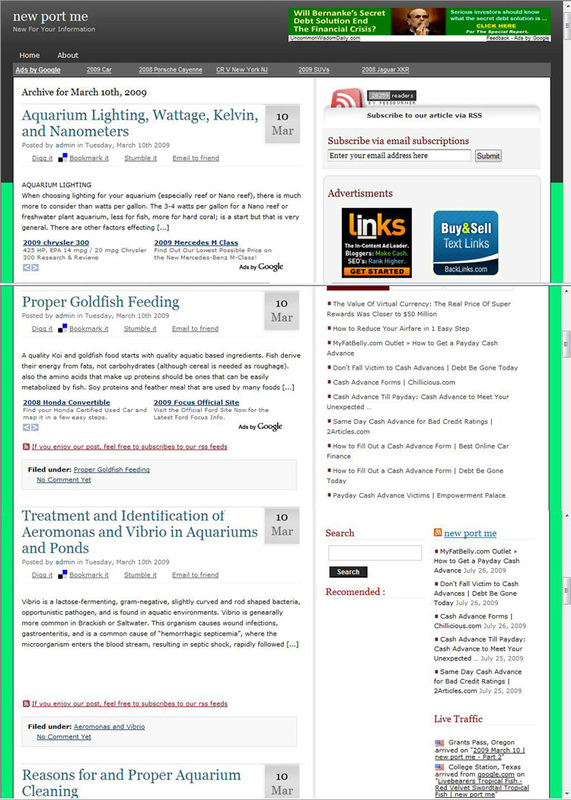 The first three are regularly plagiarized and have very unique content (especially Aquarium Answers), however the forth is a more ordinary blog (no offense to Misti), that does not have nearly the content nor is it plagiarized. Guess what? Google denied the three that they are already placing Adsense on plagiarized web sites without legal permission while allowing the third. If this does not speak volumes about the corruption and dishonesty that is rampant at Google, nothing will. Although Google is the darling of the drive-by-media (which has about as much credibility any more as Osama Bin Laden has in teaching others to love their neighbors), they have actually gotten worse with their hypocritical use of Adwords/Adsense on illegal blogs/websites that use copyrighted articles to make money for both them and Google. What Google is doing is nothing new and not personal against me, this is how they treat all small businesses and individuals and why they are the multi billion dollar company they are, by going after and taking money from the little guy that cannot afford lawyers. Say what you will about Bill Gate's business practices, at least he has gone after those who can afford lawyers and to get the medias attention (I will also point out he is the #1 contributor to Autism research, etc. in the world). What is especially sad is that Adsense recently denied my article sites for content, and what makes this even more sad and blatently dishonest is that my articles are constantly researched and updated for accuracy of content, which these articles have not. I have written many departments at Google and have gotten either no reply or lame dishonest answers such as Google stands by only offering up ads on the highest quality sites that have been checked by Google. WHAT A LOAD OF CRAP, and sadly many buy this load and continue to think Google is this company with the highest of integrity when the opposite is true! 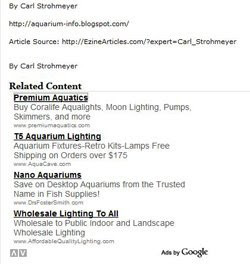 I have spent the better part of 3 decades in hands on and research of outside sources to write my many articles, as well I have worked hard at providing often hard to find or unique products such as hard to find UV Bulbs & T5/T8 straight/standard UV Bulbs only to see Google take advantage of this to their dishonest gain. What Google does is to provide nice products such as Google Docs, email and many other first rate services (although I beg to differ as to the quality of their searches since they are weighted heavily by the old boy network at DMOZ). I will admit that this is a blogger hosted blog, however it should be noted that I have been with Blogger for some time and that Google bought them out as they have many other good services. How Google pays for this is their dishonest and corrupt business practices such as screwing the little guys such as myself that cannot afford a lawyer or a class action lawsuit that Google deserves (I doubt there are too many Lawyers with the Huevos Grandes to take on Google anyway). Another aspect of Google Adwords/Adsense corruption is they Ad Scores. Google employees will not even be honest and tell you why an ad score is low, rather they hide behind a corrupt rating algorithm that is meant to score Ads low so as to charge more per click. As an example, the search term "UV Bulb" & "UV Bulbs" gave me a score of 3 even though both search terms are contained there in. As well the landing page has both terms relevanty spread over the EXTREMELY content rich page with links to further related information NO OTHER site in Google Adwords provided. 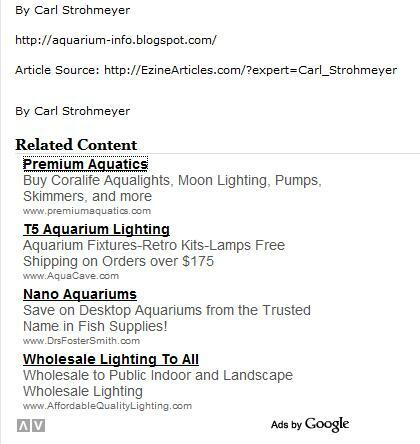 Worse, a website that came up ahead of my ad took three clicks to reach the very popular G23 9 Watt UV bulb, and even then on a very content poor website (this even with a cost per click that is 40% of profit, which of coarse at normal CTR of 5% does not even come close to paying for the ad). Come on Google, who are you fooling other than Obamanites?? Hopefully someday others, especially either the masses or those with the power to inspire the masses such as the media or popular TV/Radio show hosts like Rush Limbaugh will put their money where their mouths are and call Google to the mat (and stop using the vomit inducing phrase “to Google something” instead of simply to search). Maybe then Google as a company will rise to the quality of many of its services instead of the bottom feeder this company is currently (ask Steve Jobs his opinion of Google of late for ripping off his iPhone platform). 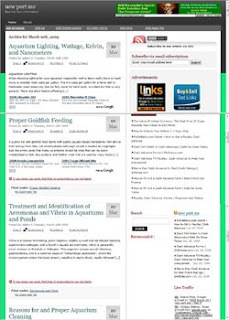 I have sent emails to many in my business and friends contact, as well I have urged members of my aquarium/pond forums to switch to using Yahoo or Bing as their home page instead of Google. I know of at least a couple dozen persons who have made this switch, which admittedly a drop in the bucket, but if enough other businesses with similar experiences start similar campaigns and those who received these forwarded emails do likewise, this can make a difference and Google will take notice (although in their extreme arrogance they may not figure out why). As well Microsoft and Yahoo need to stop taking Google head on with their search engines, as although I strongly beg to disagree that Google is the better search engine (especially since they use DMOZ to weight many sites and DMOZ is nothing more than a good ole boy network of late), although sadly most in this country are convinced that Google is 'good'. In my opinion the other search engines need to other unique services such as Google Apps, Docs, better blogging, less buggy email (are you listening Yahoo? ), etc; maybe then many will switch just to use these services for which Google clearly is the king of for the time being. Finally boycott websites that are nothing more than Google hacks such as Web Pro News, whose heavy handed editing removes posts that expose the truths about Googles business practices (I know as I used to comment there). This goes especially Web Pro News writer Chris Crum who is so in love with Google it is down right pathetic. Chris Crum could give George Stephanopoulos a run for his money as to lack of integrity in journalism IMHO!